If you’re a fish-lover, there are few things more beautiful than fresh, wild Steelhead trout or a deep red Ahi steak or a glistening halibut filet….. *ahem* we may be fans of the beauties showcased at Blu Seafood. There’s nothing quite like perfectly crisped-skin trout fillets; with a flavor so delicate that they really don’t need much to make a delicious (and healthy) dinner. 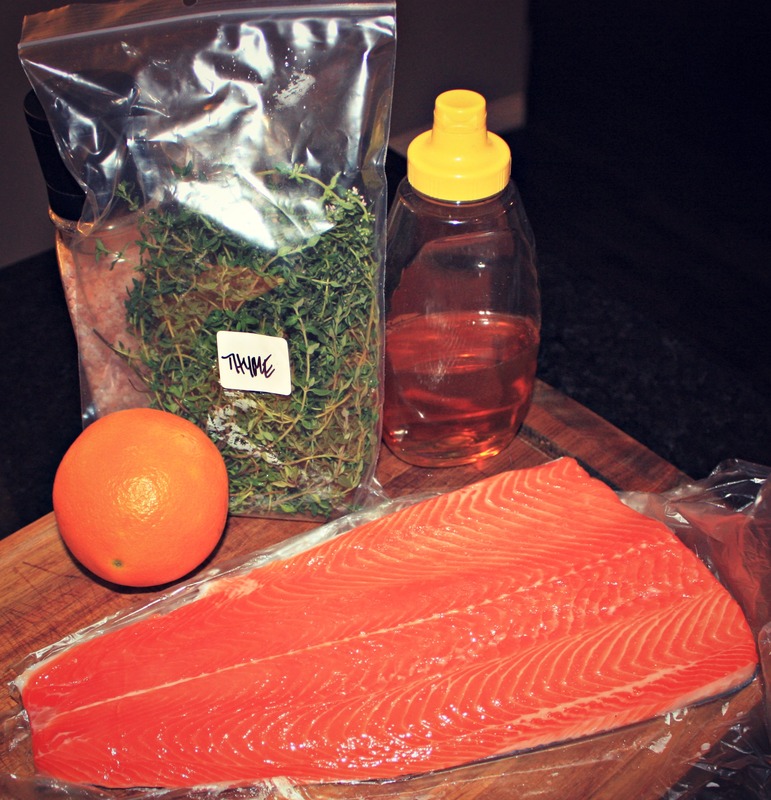 This recipe is dead simple with only four main ingredients: a squeeze of orange, and a dollop of honey, and fresh sprigs of thyme, it lets the trout shine and takes all of 12 minutes. 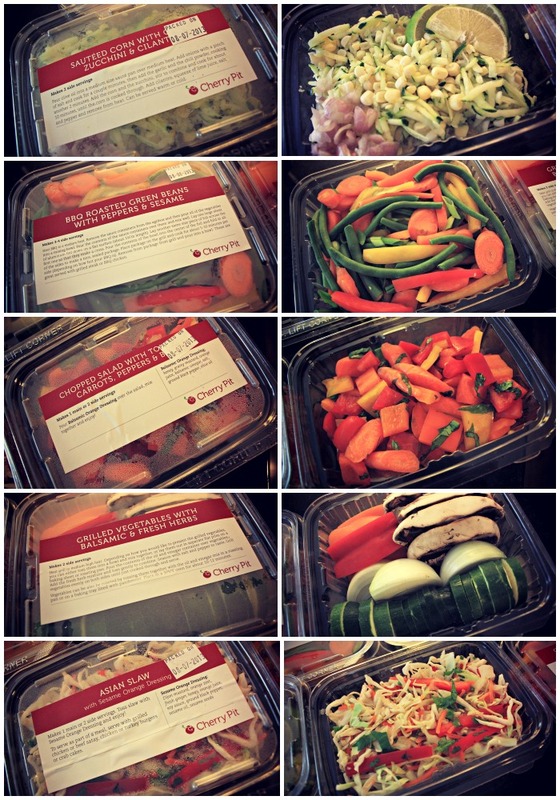 And, with the outstanding selection of ready-made salads and grilling vegetables from Cherry Pit, a complete meal can be whipped together in less time than calling for take-out. Quickly whisk together a mixture of orange juice, honey, fresh thyme, sea salt, and freshly ground pepper. Rub the salmon with oil and season with salt and pepper. Place in hot pan, skin side down, approximately 6-8 minutes. Gently flip and continue to cook for about 3 minutes. Flip back onto skin side and brush the tops of the fillets with a few remaining minutes of cook time. 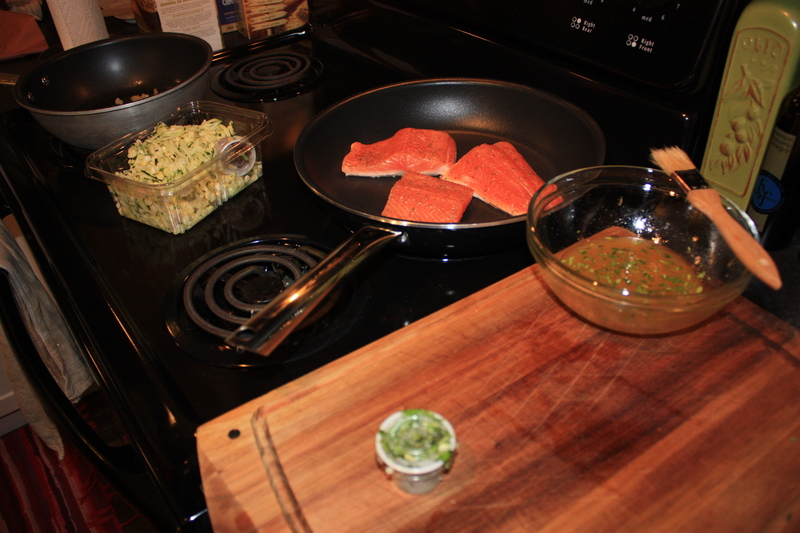 *Do not brush skin side of fish with the honey-thyme glaze as this will cause it to burn terribly. Take care not to overcook the fish. Serve skin side up over whatever incredibly easy (and yummy) Cherry Pit side you chose to enjoy; serve the remaining glaze on the side. 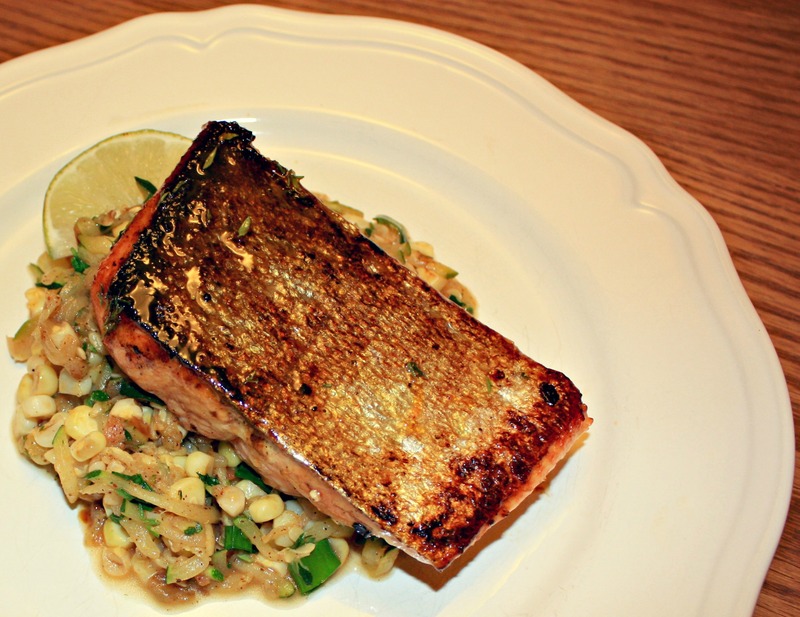 Alternatively, if you’re more of a grillin’ kinda gal or guy, this trout can be done on the grill (just be sure to oil the skin well to prevent it sticking to the grates).